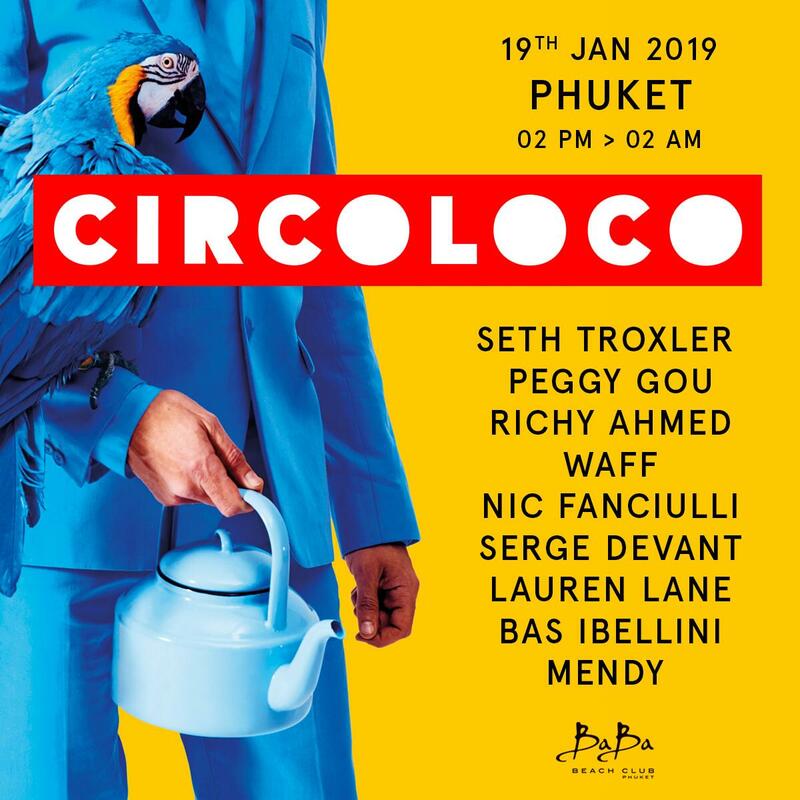 Circoloco is one of the world’s most coveted party brands and is coming direct from the Mediterranean party island of Ibiza for its Southeast Asian debut at the award-winning Baba Beach Club, a luxury lifestyle hotel for music lovers located in Phuket. On Saturday January 19th 2019, the partnership will bring the iconic sound of Ibiza’s underground to Thailand for a one-day event that will undoubtedly become the party of the year with a dream team lineup that will perfectly recreate a legendary Monday at DC10. The inimitable program enlists Circoloco headliners with an iconic lineup featuring Seth Troxler, Nic Fanciulli, Peggy Gou, Richy Ahmed, wAFF, Serge Devant, Lauren Lane, Bas Ibellini and Mendy Indigo. It gets better too, more names will be added soon. Working with local communities and supporting local artists, the collaboration strives to create a space where the international and local music scenes converge. With a vision to bring both sustainability and music to the forefront, invoking mindfulness for the environment and our natural surroundings through the use of eco friendly and biodegradable materials only throughout the event such as a ban on single-use plastic onsite, replacing plastic water bottles with boxed water and building up the site using coconut trees. Baba Beach Club is a luxury beach club and hotel created by the owners of award-winning luxury resort, Sri Panwa. The absolute beachfront location provides direct access to a 200-meter unspoiled white sandy beach and features breathtaking sunset views of the Andaman Sea. Just 20 minutes north of the Phuket International Airport, Baba Beach Club has become a regular haunt for artists touring in the region like Seth Troxler and Nicole Moudaber together with BE-AT.tv, Be Svendsen, Shaded, Yokoo, D’Julz, Heidi, and many more. Brazil’s most promising techno export Anna set for huge Australian tour!